Energy drinks may supply you with a short-lived energy boost, but they don’t encourage weight loss. 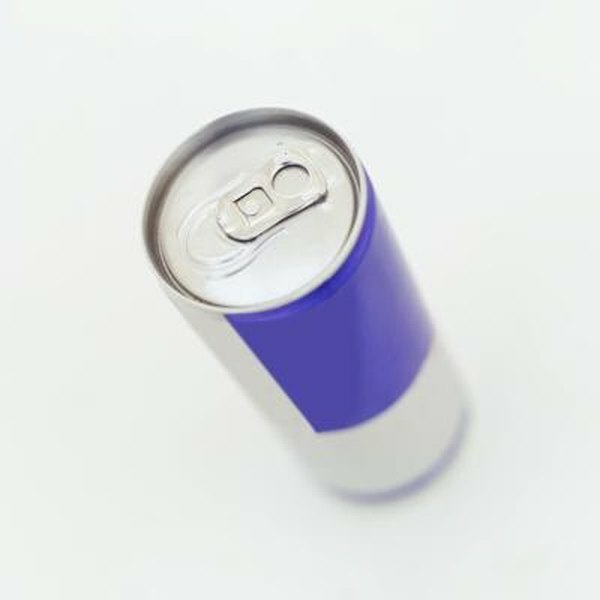 In fact, many energy drinks contain calories, so you could be increasing your caloric intake without even knowing it. If you consume more calories than your body burns each day, weight gain tends to follow. To lose any amount of weight, you need to produce what’s known as a caloric deficit, and it takes a deficit of 3,500 calories to burn a pound of fat. If you were to generate a deficit of 500 calories a day, you can expect to lose 1 lb. within a week. Energy drinks aren’t likely to cause this deficit of calories — at least not directly. Though some energy drinks claim to increase the metabolism, and thereby promote weight loss, research is rather limited. A study conducted by the Department of Health and Exercise Science at the University of Oklahoma gives some indication that energy drinks may help with the process. Those participants who drank a thermogenic drink each day saw a decrease in body fat percentage and fat mass over the course of the study. The decrease in body fat, however, was at a percent of 0.09, while the decrease in fat mass was less than 0.05. Moreover, no interventions were made with diet or exercise during the study, so the finding may have been influenced by a change in physical energy expenditure. The drink could supply more energy to the participants, allowing for an increase in the duration or intensity of workouts. With increases in duration or intensity, you tend to burn more calories than normal, helping to improve weight-loss results. Further research is needed in conjunction with dietary and exercise regimens to determine the effects energy drinks have on weight loss. There’s also the potential for energy drinks to result in weight gain, especially when no changes are made to your energy expenditure. Many energy drinks are packed with sugar, giving them a caloric value of around 100 calories. Drinking one a day could translate into a weight gain of 10 lbs. in a year. Instead of relying on energy drinks to promote weight loss, change your diet and increase your level of physical activity. By limiting portion sizes and incorporating healthier foods into your diet, you often reduce your caloric intake enough to reach the deficit needed to lose weight. Increasing your level of physical activity obviously burns calories, helping to increase weight-loss results.